If you have ever tasted home grown or local farm grown garlic you know it is far superior in flavor to what you can buy in the grocery store. Garlic is an easy crop to grow and planting it in October/early November will ensure you a bountiful harvest next July – which will keep you in home grown garlic for the entire year. Get your soil ready and give it a try. Garlic should be planted between October 1 and November 15 to give the clove a chance to develop some roots before it goes dormant for the winter. • Separate cloves from the bulb and plant root side down (pointed side up) about 2-4 inches deep, 6-8 inches apart in the row and 12-18 inches between rows. A bulb planter used for tulips and daffodils is an excellent tool to get a number of cloves planted quickly. I just push them down with my thumb- that is just about 2-4 inches. • In mid to late November, when the ground begins to freeze, mulch the planting bed with 6-12 inches of straw. This step insures it won’t heave with the freezing and thawing of winter and will survive the cold temperatures. • In early spring as the ground thaws, look for the green tips beginning to emerge underneath the straw. When they emerge, pull the straw back but leave it in place between the rows, where it will keep the weeds down and the water in. • Fertilize in spring with a complete fertilizer such as 10-10-10 (3 lb per 100 sq. feet), or an organic complete fertilizer at roughly twice the rate, as usually they contain roughly half the nitrogen as chemical fertilizers. 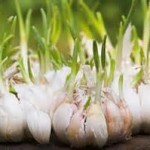 • Cure the garlic by hanging in a warm, dry, well ventilated place such as a barn or attic. Try laying them on a sheet of cardboard in your garage. Let them cure for two weeks. • For storage give them another shake after two weeks of curing to remove more soil, cut off the stalks of hardneck varieties and store them in a cool dry place. For softneck you can leave the stalks attached if you wish to braid and hang them for ease of use and aesthetics in the kitchen – but you may also cut off the stalks and store them with the hardneck varieties. • Save some of your biggest bulbs for planting next fall. 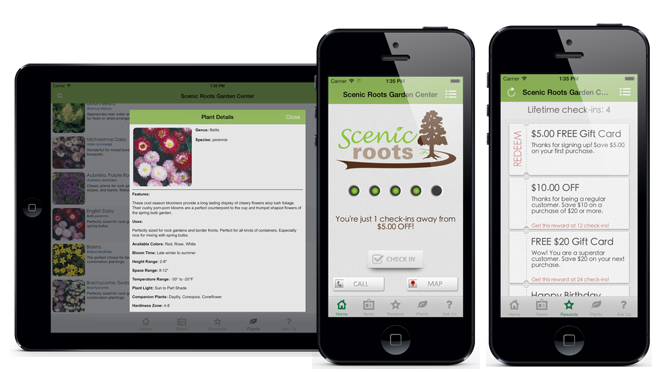 This entry was posted in Featured, Gardening Articles and tagged edible gardening, gardening, gardening tips, Garlic.